Donald Bennett, the son of a sheep farmer, was born in Toowoomba, Australia on 14th September, 1910. He joined the Royal Australian Airforce in 1930 and the following year he was transferred to the Royal Air Force. Initially posted to 29 Squadron he later became an a flight instructor on Flying Boats. In 1935 Bennett joined Imperial Airways where he achieved several much published flying exploits. In 1941 he was recruited once again into the RAF. 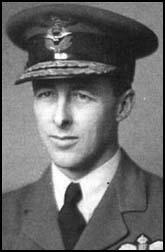 Promoted to the rank of wing commander he was appointed as commander of 77 Squadron in December 1941. Bennett became commander of 10 Squadron in April 1942 and he took part in the raid on the Tirpitz. He was shot down but he evaded capture and eventually arrived home via Sweden. 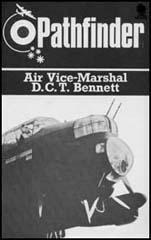 In July 1942 Arthur Harris, head of Bomber Command, appointed Bennett as commander of the Pathfinder Force. Bennett was a great success in this post and he was eventually promoted to the rank of vice-marshal. Bennett, and Edward Addison, were the only bomber group commanders not to receive a knighthood. Later Bennett became Liberal MP for Middlesbrough West. He also designed and built several light aircraft and cars. Donald Bennett died on 15th September, 1986. (1) Donald Bennett met Sir Kingsley Wood, the Secretary of State for Air in 1938. Immediately after my return from the Atlantic trip, I had the pleasure of meeting Sir Kingsley Wood. who was then Secretary of State for Air and as such was responsible not only for the Royal Air Force and all its supplies but also for civil aviation. Even although I had not at that time had a chance of putting the proposition to my superiors in Imperial Airways, I grasped the opportunity to ask the Secretary of State for Air whether he would approve of an attempt on the world's long-distance seaplane record using the. Mayo Composite. His attitude was favourable from the outset, and I immediately took up the subject with Major Mayo, who in turn talked to George Woods Humphreys, the managing director of Imperial Airways. I am glad to say that the Government gave their approval, thanks, I think, mainly to Sir Kingsley Wood himself, and it was arranged that we should attempt flying at least a distance sufficient for the seaplane record then held by Germany. I had a visit from Air Chief Marshal Sir Hugh Dowding (now Lord Dowding), who had been relieved of Fighter Command after the Battle of Britain was over. As the Commander-in-Chief of Fighter Command he had, of course, saved us and thereby, I believe, the civilizedworld. But as I have indicated elsewhere in this book, Britain behaved as it always seems to in such circumstances - it promptly turned round and started criticizing the man who had been responsible for our salvation. Petty jealousies amongst senior Air Force officers are unhappily all too frequent, and on this occasion I believe that such jealousies were responsible for one of the most deplorable examples of lack of appreciation for a great Englishman which we have ever displayed. Old "Stuffy" Dowding had not only been the C-in-C. in the whole of the Battle of Britain proper, but he had also been responsible for the introduction of the 8-gun fighter and many of the developments which made that victory possible. There were very good reasons for his leaving Fighter Command, but outwardly the method of his going was unfortunate, to say the least. I had taken over 77 Squadron (in December, 1941) from an ex-civil pilot called Young. The few days in which he handed over to me were most valuable, as he was an experienced pilot and a good one. He gave me the "gen" on the bombing game as thoroughly as he could in that time, and it was a fairly colourful picture which he painted! My first main job in commanding 77 was to tighten up on navigation. Such things as compass swings in the air had never been heard of, and general precision was fairly low. When I arrived, night photography was regarded as a rarity, and there was little proof of what results had been achieved. Bomb aiming was done in those days by the navigator, and was generally of a fairly high order. One fact soon became apparent, however, from interrogation after raids - the angle of bombing considered to be normal by bomb aimers was related to the low level practices which they had done, and not to the height in which they normally operated at night. I had a blitz on this point thereafter, and managed to make people appreciate the fact that the bomb angle was in fact very dose to the vertical at anything like operational height. The results of my navigational efforts soon began to be reflected in our bombing results. We took more and more successful night photos, and all of them proved that we were getting to our target In fact, I used particularly to have any crew "on the mat" who failed to get photos. When I arrived at the Squadron it was a matter of considerable pride if a crew brought home a photo showing the target area at all, but it soon became a matter of considerable disgrace if one failed to obtain a photo of the aiming point itself. The casualty rate at that time was running around 4 to 5 per cent. per raid, and as the normal tour of operations was thirty raids, anybody with a reasonable mathematical training could calculate the risk of survival. Those with more varied mathematical outlooks, however, achieved all sorts of ideas as to what the possibilities might be. Our crews were, in any case, comforted by the knowledge expressed by the Intelligence Officer on each station that at least three out of four crews shot down were made prisoners of war and were not lost completely. The proportions were in-reality not quite as favourable as this - but more nearly the reciprocal. (4) Donald Bennett was appointed commander of Pathfinders on 5th July 1942. In his autobiography he recorded how Arthur Harris was against the creation of this new force. At that time Bert Harris was getting a little fat, but his bluff, genial personality kept him young in general impression. His golden hair gave an indication of his character, for like most "copper knots" he had a fairly short temper, and was very outspoken and indeed rude when he so chose. On the other hand, as most people knew, he was very often right, and his emphatic expression of disapproval for those who were wrong was generally well justified. Unfortunately, his outspoken ways, particularly with regard to the Army and Navy, were so famous that he was fairly unpopular with both those Services - which I regard as a compliment to him. Unfortunately he was also a little unpopular with some other senior Air Force officers on whose toes he had trodden on various occasions. Nevertheless, as a wartime C-in-C. of Bomber Command, I do not know of any other Air Force officer anywhere nearly so suitable. Harris was blunt, honest and to the point, as always. Roughly, the gist of his conversation with me was that he had opposed the idea of a separate Path Finder Force tooth and nail - that he did not believe it was right to weaken the Command by taking its best crews in order to form a corps d'elite as a leading body. He thought it was unfair to the other Groups, and he had, therefore, done everything he could to stop the idea of a Path Finder Force. However, he had been given a direct order from the Prime Minister through the Chief of the Air Staff, and since it was forced upon him he insisted that I should command it, in spite of my relatively junior rank. I was to be promoted to acting group-captain immediately, and as a group-captain could not command such a force, I should do so in his name as a Staff Officer of Headquarters Bomber Command, and I should therefore have a subordinate headquarters to handle the Pathfinders at a station of my choosing convenient to the aerodromes which I also had to choose for the establishment of the Force. He categorically refused to allow it to be called a Target Finding Force, because that was the name which had been put forward by the Directorate of Bomber Operations, and which he, therefore, automatically opposed. He did not put it in quite those words, but that was obviously the implication. He told me that whilst he was opposed to the Path Finder Force and would waste no effort on it, he would support me personally in every way. My appointment to command Pathfinders was on 5th July 1942, and I immediately began work on every aspect of the problem. My ideas had already been fairly well formed by my constant discussions with various individuals in contact with the bomber operations, and as the result of my experience as a squadron commander. The divisions of the problems were fairly clear. The human element was undoubtedly the most important, and the selection and training of crews was my most vital consideration. Second was the development and production of the very best navigational equipment available. Third, I had to provide the means of illuminating and/or marking the target in such a way that the main force crews could identify it in spite of all the decoys and dummies and the diversions that the enemy might provide. Of these problems, the one on which I got moving most quickly related to the equipment. Navigational facilities in R.A.F. bombers in those days consisted roughly of a compass, a sextant, an astro compass and a few other minor instruments. The standard of navigation was elementary in the extreme. Just before I had left 10 Squadron, a new device known as Gee had been introduced. This was very hush-hush at the time, but details of it have since been published. It consisted of a pulse phasing radar system with receiving equipment in the aircraft, displaying signals on a cathode ray tube which could be aligned and measured. The resultant figures gave the position on a hyperbolic grid with reasonable accuracy. It had been hoped that this system would give sufficient accuracy in navigation to make blind bombing of the Ruhr practical. Unfortunately this was not quite so, but its value as a navigational aid was tremendous. In particular its use in coming back directly to home aerodromes was a tremendous help, and saved many stupid flying accidents such as had occurred in the earlier days. Gee was the first radar device used on bombers, and was most valuable. The hope for Pathfinders, however, lay in two other devices. The first of these was an airborne radar ground reflection system known as H2S. The second was subsequently given the code name Oboe. I test-flew the Mosquito by day and by night, and we got on with the 'test installation' of the Oboe equipment. At a meeting at the Air Ministry on the subject. Bomber Command and the Air Ministry both very strongly opposed the adoption of the Mosquito. They argued that it was a frail wood machine totally unsuitable for Service conditions, that it would be shot down because of its absence of gun turrets, and that in any case it was far too small to carry the equipment and an adequate Pathfinder crew. I dealt with each one of these points in turn, but finally they played their ace. They declared that the Mosquito had been tested thoroughly by the appropriate establishments and found quite unsuitable, and indeed impossible to fly at night. At this I raised an eyebrow, and said that I was very sorry to hear that it was quite impossible to fly it by night, as I had been doing so regularly during the past week and had found nothing wrong. There was a deathly silence. I got my Mosquitoes. Thus it was that the greatest little aircraft ever built came into the squadron service as a bomber in the Royal Air Force. From that decision grew many other things, not only for the Oboe squadrons but also for the general improvement of our bombing policy. Don Bennett, whom I had known since 1931, was the obvious man at that time available for the job of head of the Pathfinder Force. He was in his early thirties, very young indeed to become a Group Commander, but his technical knowledge and his personal operational ability was altogether exceptional. I first met him when I was commanding a flying-boat base in 1930, and when his short term commission expired I got him a job in civil flying. He was a profound student of navigation, and in the early part of the war he took the major part in opening the transatlantic ferry. I then got him back into the Air Force as a Wing Commander. He commanded a Halifax squadron and in 1941 was shot down in flames over Norway when attacking the Tirpitz in his usual gallant manner; he escaped to Sweden after many adventures and was returned to England. His courage, both moral and physical, is outstanding, and as a technician he is unrivalled. of view the essential thing was that he tackled the complex and technical problems of our intricate bombing tactics with as much energy as ability. He has a most unusual memory and can pick up a book on some highly technical subject and in a very short time get the whole thing off by heart; he is, in fact, very much an intellectual and, being still a young man, had at times the young intellectual's habit of underrating experience and overrating knowledge. All this is, of course, rather unusual in a fighting man and we were lucky to get a man of such attainments to lead and form the Pathfinders. Great Britain and the Commonwealth have made a contribution to the civilised world so magnificent that history alone will be able to appreciate it fully. Through disaster and triumph, sometimes supported and sometimes alone, the British races have steadfastly and energetically over many long years flung their forces against the international criminals. They have fought the war from end to end without a moment's respite, in all theatres, and with all arms - land, sea and air. Bomber Command's share in this great effort has been a major one. You, each one of you, have made that possible. The, Path Finder Force has shouldered a grave responsibility. 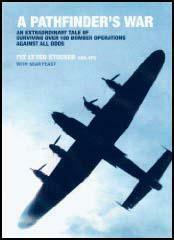 It has led Bomber Command, the greatest striking force ever known. That we have been successful can be seen in the far-reaching results which the Bomber offensive has achieved. That is the greatest reward the Path Finder Force ever hopes to receive, for those results have benefited all law-abiding peoples. Whilst you have been hard at work through these vital years, I have not interrupted you, as I would like to have done, with messages of praise and congratulation. You were too busy; but now that your great contribution to the world has been made, I want to thank you each man and woman of you personally and to congratulate you on your unrelenting spirit and energy and on the results you have achieved.